The Show-Me Gourd Society (SMGS) is a non-profit organization that was established in 1997. We are the XI Chapter of the American Gourd society (AGS) which oversees more than 25 state chapters in the nation. 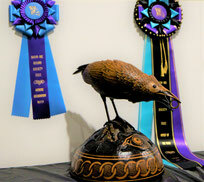 Our purpose is to support the arts by promoting the gourd art medium. We do this by encouraging youth and adults to learn about gourd art through our festival workshops, competition, and patch meetings. Our organization is made up of people who love to share their talents with gourds. 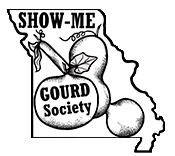 Help keep the Show Me Gourd Society running smoothly.